I was very lucky with the August Degustabox. It arrived in the school holiday (obviously) which meant I could open it as soon as it arrived rather than having to wait until Luke gets home from school! Having a box of mystery food and drink goodies arrive and then not be able to open it for hours is soooooo difficult. The urge to see what is inside is just too much for my lack of willpower. I have to say, most of this month’s box was things I had never seen before so it was even more exciting to try them. 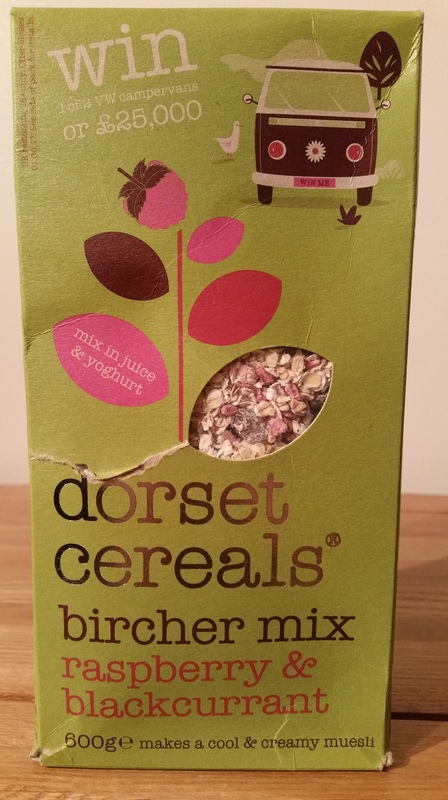 DORSET CEREALS BIRCHER MUESLI… I am familiar with Dorset Cereals and I love their muesli and granola. I have to admit though I had never heard of Bircher muesli so I had to Google it to see what is different. It was originally created by a Swiss doctor as a way to get his patients to eat something more nutritious, containing fruit. He had jaundice as a child and was convinced that apples had cured him of it, so used fresh apples in the original Bircher muesli. What sets it apart from normal muesli is that Bircher muesli is soaked overnight in fruit juice. This makes it so much easier to eat if you are in a rush in the morning. Sometimes it can feel like you’re chewing normal muesli forever, but Bircher muesli is lovely and creamy so easier to digest. This one comes with raisins, raspberries, blackcurrants and apple in it, and soaking them overnight made them lovely and juicy. I mixed 50g of the muesli with 70ml of apple juice as advised on the box, covered it and left it overnight to soak. The next morning I added 50g of low-fat vanilla yoghurt, mixed it together and thoroughly enjoyed it! I have a lot of friends who are actively trying to lose weight and they all keep talking about the wonders of overnight oats. Now I can see why they all love this breakfast so much! It is creamy, full of flavour, and keeps you full for hours! And it is so handy being able to make it the night before. This is a breakfast I will definitely be continuing to have. The RRP of this box is £3.49. GET MORE DRINKS…. I had never heard of this brand before but will definitely be looking out for this again! Get More are a range of spring water drinks made with natural flavours, and fortified with vitamins and minerals to give your body everything it needs to stay healthy. There are 6 to choose from…. Get More Minerals is a still cranberry and pomegranate drink which gives you extra potassium, magnesium and calcium; Get More Vitamin A is a sparkling blackcurrant and blueberry drink which gives you 50% of your RDA of vitamin A per bottle; Get More Vitamin B is a still apple and raspberry drink which gives you 100% of your RDA of vitamins B1, B3, B5, B6, B7 and B12; Get More Vitamin C is a sparkling orange drink that gives you 200% of your RDA of vitamin C, perfect for boosting your immune system; Get More Vitamin D is a still mango and passionfruit drink giving you 200% of your RDA of vitamin D and 15% of your calcium RDA, ideal for the winter months when you don’t absorb so much vitamin D from the sun; and finally Get More Multivitamins which is a sparkling lemon and lime drink that gives you 100% of your RDA of all the B and C vitamins and 25% of zinc and magnesium. This is the one that I had. I absolutely loved it! It tasted like lemonade rather than spring water and was extremely refreshing and delicious. 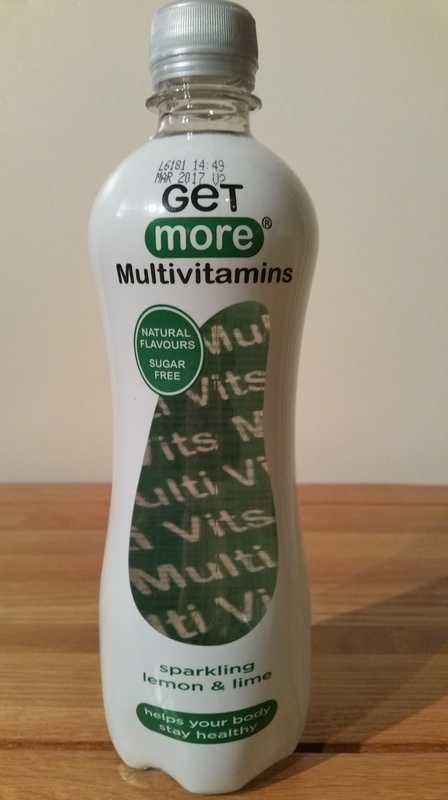 These drinks have no added sugar and are made using natural flavours. They also do a range for children called A Little More Drinks. These are Vitamin D (mango, with 100% RDA), Vitamin C (orange, with 100% RDA), and Multivitamins (apple, with 60% RDA). A definite regular future purchase for my household! The RRP is £1.45. 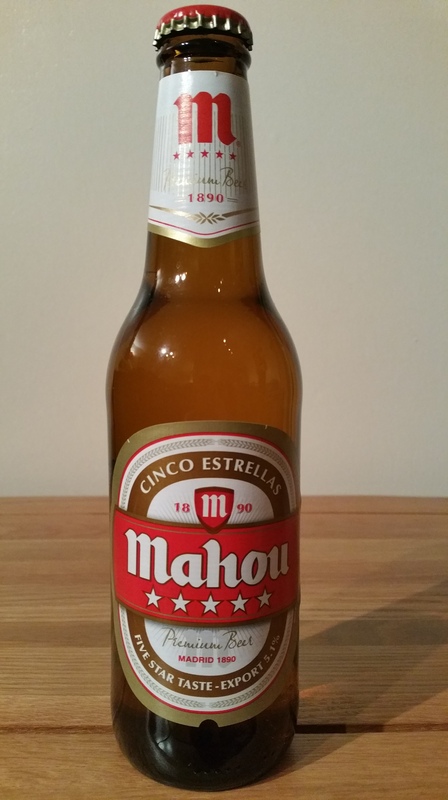 MAHOU CINCO ESTRELLAS…. My other half Del was very happy to see a bottle of lager in the box. This is a premium Spanish lager, first produced in 1891, and is now Spain’s number one beer brand. Del had enjoyed this lager before while on holiday so was keen to get it in the fridge quickly to chill it to perfect drinking temperature! I used to have a day job and an evening/weekend job, and my evening job was as a barmaid. I learnt what a perfect drink should look like (colour, depth of the head, how clear it should be etc) and this lager ticked all the boxes. Del said it was smooth with a perfect flavour, with an alcoholic volume of 5.5%. The RRP is £1.20. 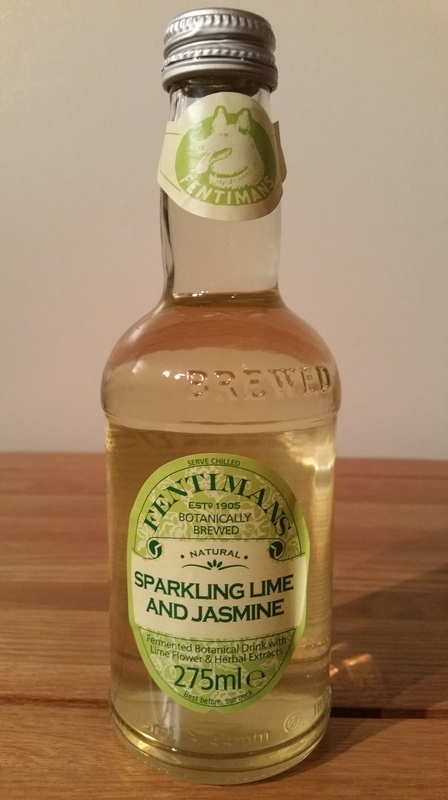 FENTIMANS SPARKLING LIME AND JASMINE… I love Fentimans Drinks but had never seen this flavour before, so was really excited to try it. I love the little bottles these drinks come in. Everything about them says quality. I have to say though I personally wasn’t a huge fan of this flavour to begin with. It was absolutely jam-packed with lime which was so bitter it made my eyes water. After it had gone down though the aftertaste was really refreshing. I drank some more and Del laughed at the faces I pulled as I drank it, as the bitterness really is sharp! I gave the rest of it to him to finish, and after an initial eye twitch he gulped it down and thoroughly enjoyed it. I loved the aftertaste but my tastebuds found the acidity too much as I drank it. I think most people would really enjoy it though and I know lots of people love sour/bitter products. The RRP is £1.20. 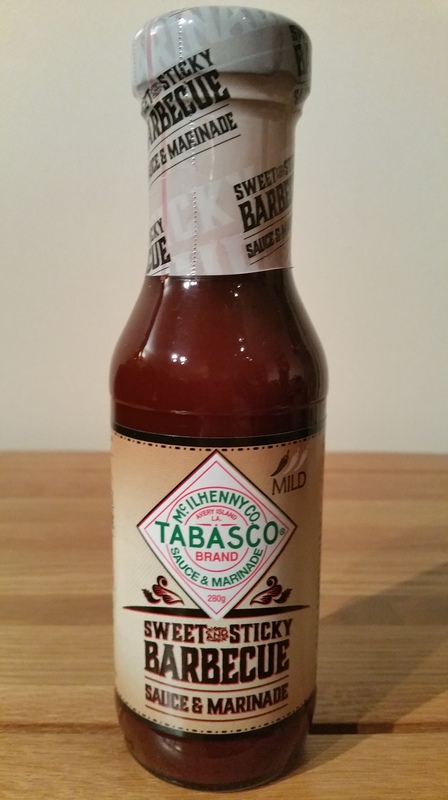 TABASCO SWEET AND STICKY BARBECUE SAUCE AND MARINADE… This little beauty was my personal favourite product this month. The bottle suggests trying it on chicken wings or pizza. I usually only use barbecue sauce for pulled pork or ribs, but this time I tried something slightly different but extremely simple. I put 4 chicken breasts in an ovenproof dish and poured the contents of the bottle over them. I mixed them to make sure they were completely coated, put the lid on the dish and then left them to marinate for an hour. I cooked them in the oven at 170C for 30 minutes, then removed the lid, basted with the sauce and cooked for a further 15 minutes. I served them with a salad and spicy potato wedges and poured the leftover sauce over them. Stupidly I forgot to take a photo, but this was absolutely delicious. There was one chicken breast left over which I was going to slice up cold for a wrap for lunch next day, but Del enjoyed the meal so much he ate that one too!! This sauce is just perfect. It is mild but does have a very slight kick to it, which was fab! It is lovely and sweet and so full of flavour. I will definitely be buying this again! In fact Del said he could eat that chicken every day! I’m looking forward to getting more to try it in different ways too though. The RRP is £1.99. 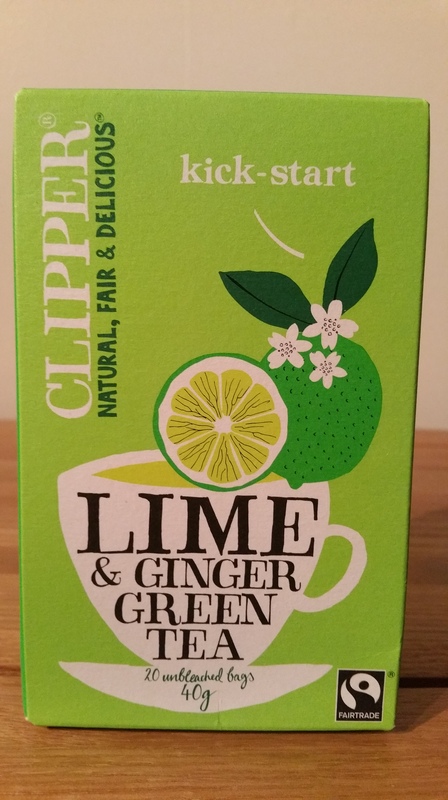 CLIPPER LIME AND GINGER GREEN TEA… I love everything about Clipper tea. The eye-catching packaging, the unbleached tea bags, the way they are foil-wrapped for freshness, the range of flavours, and the fact they are Fairtrade. I had never tried this flavour before though. I am conscious that I drink too much coffee so this was the perfect chance to try a new tea that would give me the energy boost I usually get from my caffeine fix. The instructions on the box said boil the water and let it pour over the tea bag while it is still boiling, then leave to brew for a few minutes. My kettle is one that lets you boil water at the perfect temperature for each type of hot drink, and the green tea setting is 80C, so that is what I did. I loved this tea! The flavours of lime and ginger were perfect, not too strong yet not too subtle, and I instantly felt refreshed and ready for the day. I will try more of the flavours that Clipper produce now too, as this was so good. The RRP is £1.59. NUTRIPOT…. 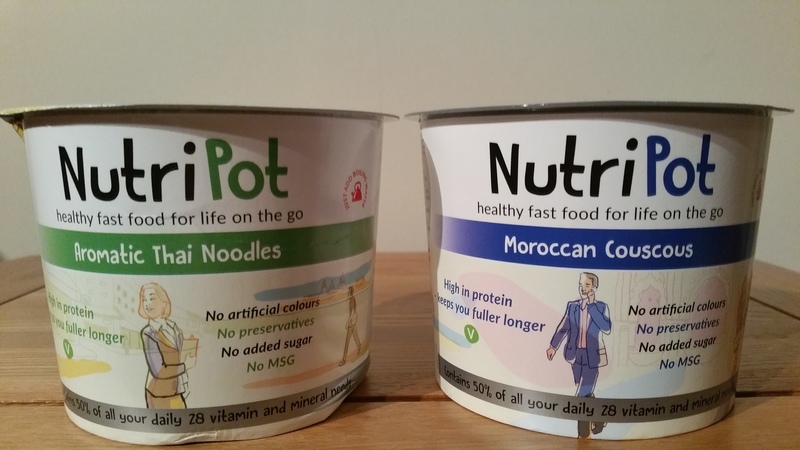 I received 2 different pots to try, Moroccan Couscous, and Aromatic Thai Noodles. I didn’t try the noodles one as it contained mushrooms and I hate those with a passion! So Del had the noodles and I had the couscous. We both said they were very tasty, with lovely strong flavours. Apparently the noodles had a bit of a kick to them but not too much. These are ideal for people with little time to prepare lunch. Just add boiling water, stir and enjoy. What sets these apart from other dried noodle types of pots is the fact these contain 50% of all of the 28 vitamins and minerals you need to stay healthy. They contain no artificial nasties, no added sugar and are low in saturated fat. The RRP is £2.49 per pot. 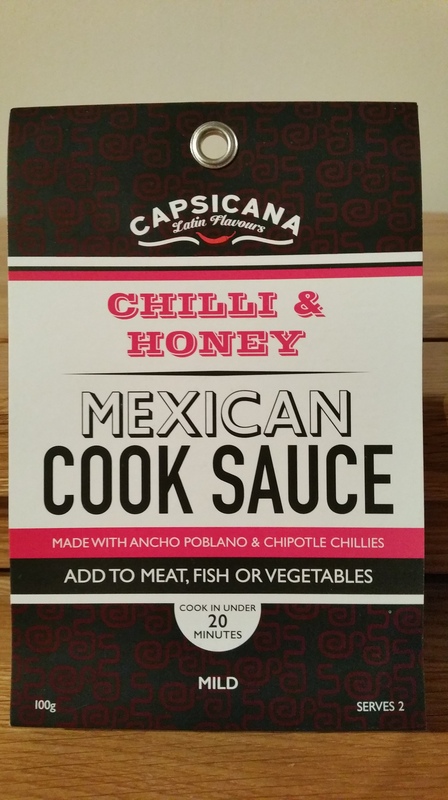 CAPSICANA CHILLI AND HONEY MEXICAN COOK SAUCE… I love Mexican food so was excited to see this sauce. Capsicana make a range of Latin American inspired flavoured sauces. You can also get Chilli and Garlic Mexican, Chilli and Lemon Peruvian, or Chilli and Coconut Brazilian. This chilli and honey one was gorgeous! I followed the recipe suggestion on the back of the packet, adding it to chopped onion, sliced green pepper and chicken strips, and then served it with tortillas and melted cheese. It has a slight kick to it but it is still mild. the flavours were just amazing. I will definitely buy this again too. It is perfect for people who don’t have hours to spare on cooking, as it only takes 20 minutes maximum, yet produces a really delicious satisfying meal. The RRP is £1.99. 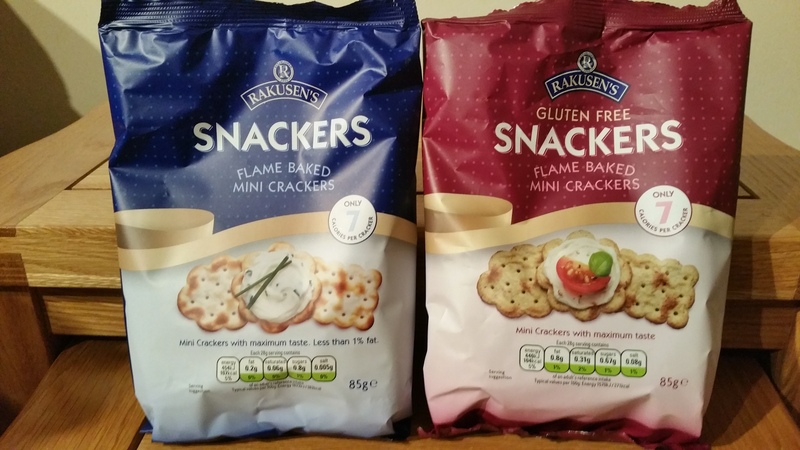 RAKUSENS SNACKERS… I received two packets of these mini crackers, one was plain and one was gluten-free. They looked really cute, with lovely little shapes, and they tasted just as you would expect a cracker to taste. We ate them with a range of different toppings including cream cheese and houmous, and we all enjoyed them. The gluten-free ones tasted no different to the plain, which was great. Each cracker has just 7 calories in, so you don’t need to feel guilty having a snack of a few of these. The RRP of the plain ones is £1.29 and the gluten-free are £1.49. GEETA’S…. I received 3 products from this brand, Tikka Curry Paste, Rogan Josh Curry Paste, and Premium Mango Chutney. 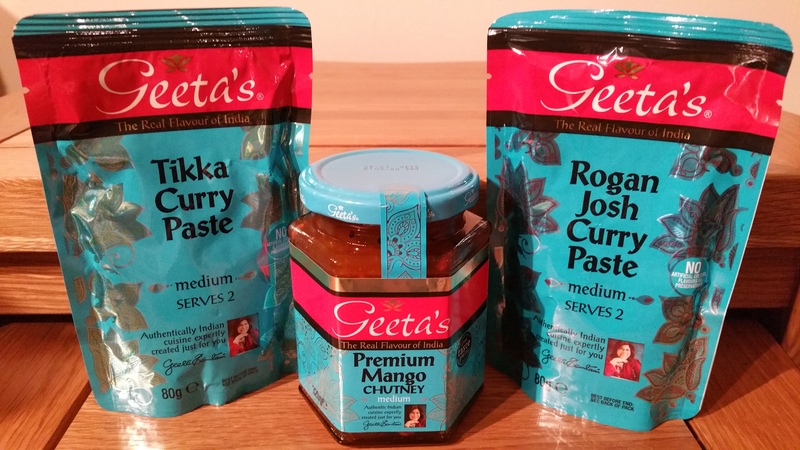 Geeta’s is a well-known brand and I have tried these before. I always buy this mango chutney so I knew exactly what to expect with these. The curry pastes contain the perfect amount of spiciness and flavour, and are so easy to use, producing delicious curries very quickly. Del likes hot curries, so I just add a few extra spices for him. The mango chutney is lovely to use as a dip, and I use it when I make Coronation Chicken. The RRP of the pastes is £1 each, and the mango chutney is £1.39. 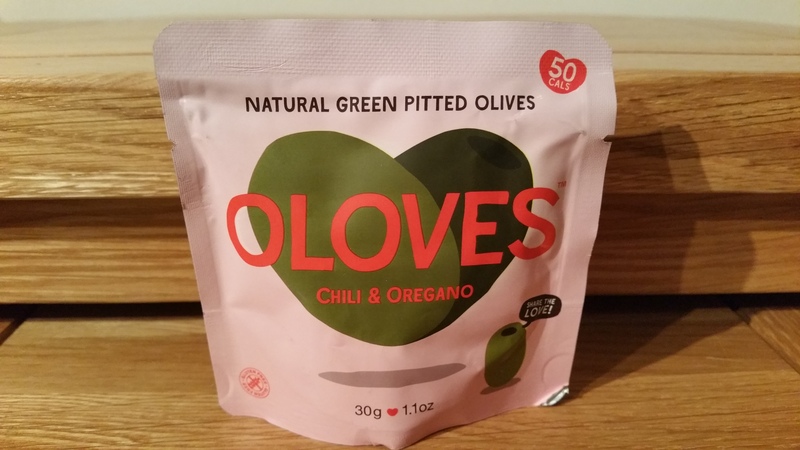 OLOVES… I received a pack of Chili and Oregano natural green pitted olives. Unfortunately I can’t really comment on these as I detest olives. I gave them to a friend who adores them though and she said these were amazing. She loves them as a snack and she said she will definitely be buying these in the future. She said the flavours were beautiful. The RRP is £1 per pack. WILLY CHASE’S FIT CORN… The final item this month was this popcorn. I received the Salted Honey flavour which was absolutely scrumptious. You can also get Goats Cheese, Red Onion and Thyme, or Nearly Naked, or Chase Smoke Bloody Mary flavours. I’m glad I had the salted honey as it appeals to me most from this range. The blend of sweet and salty was perfect and the popcorn itself was beautifully light. They use honey from the bees in their own apple orchards and all other ingredients are locally sourced. 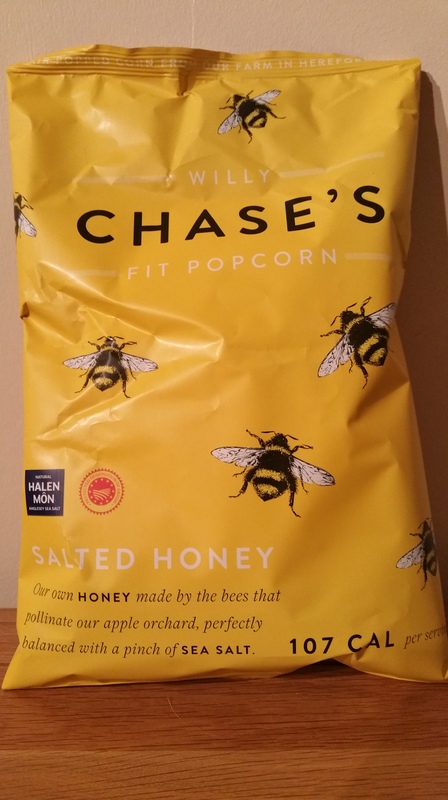 I loved this and could easily have eaten the whole packet it one go, but luckily Luke helped me out by eating a huge amount too 🙂 The RRP is £2.19. I really loved this month’s box. One of the biggest pleasures is trying new foods and drink, and Degustabox gives you lots of opportunities to do that. You can choose to not receive any alcohol if you prefer, and they will substitute it for another product. The normal price of this fantastic subscription box is £12.99 per month, and that price includes delivery via DPD. It really is incredible value for money, with the overall cost of the items you receive being worth around double the price you pay! 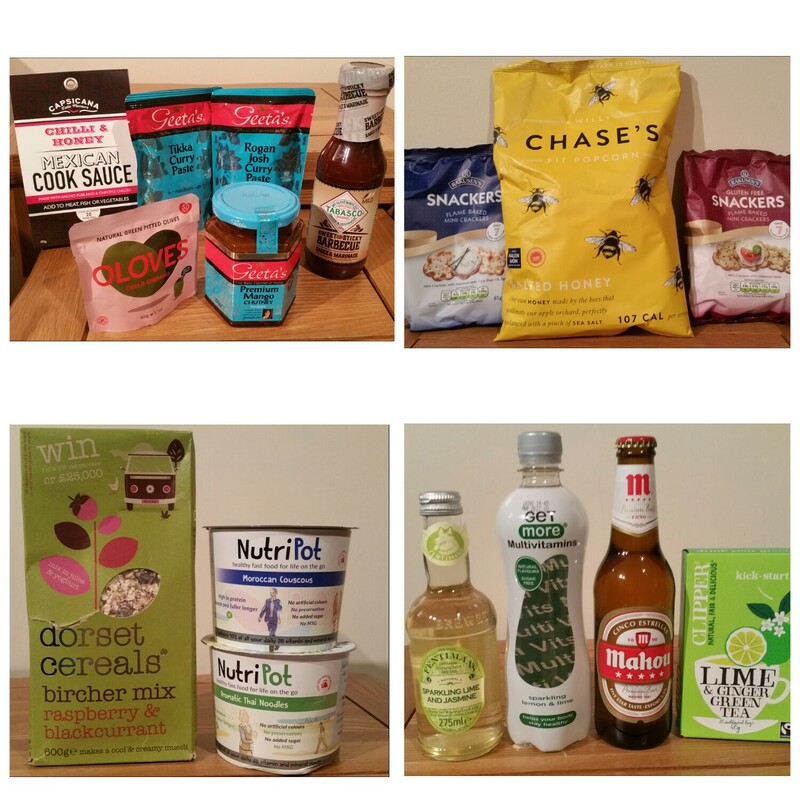 Just to show you how fantastic Degustabox is though, they are very kindly letting new subscribers try their first box for less than half price for just £5.99 including delivery! That’s a whopping saving of £7! To get this wonderful offer, just go to their website HERE and enter the code BLDEG15 at the checkout, then sit back and wait for your first surprise box of yumminess to arrive. Enjoy! « Bakedin Baking Club…. Featuring Exclusive Recipes from Michel Roux!